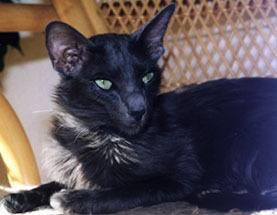 The Javanese Cat is a domestic feline breed which originated in North America, acknowledged as a show cat by the CFA (Cat Fanciers Association). Though referred to as the Javanese Cat, this breed does not hail from Indonesia or Java but was perhaps called so because of the custom of naming Oriental breeds after places of South East Asia. 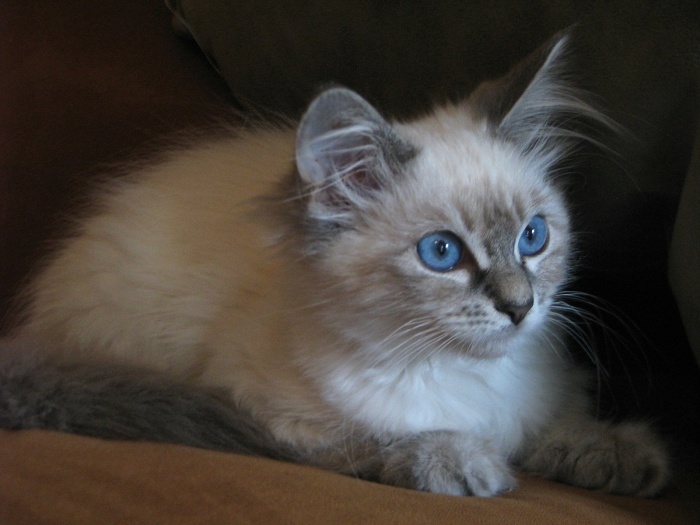 Color Have varied point colors on their face, ear, paws, and tail that may come in solid colors as cream or red or even different lynx or tortie point colorations such as seal lynx point, seal tortie point, and chocolate tortie. 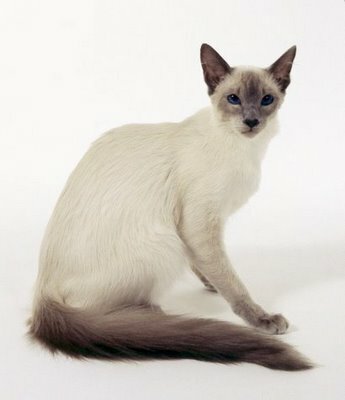 The Javanese Cat is an Oriental designer breed created by crossing the Balinese cat and the Colorpoint Shorthair for the purpose of developing a breed with a similar personality as the Siamese, but a longer coat and wide variety of colors. 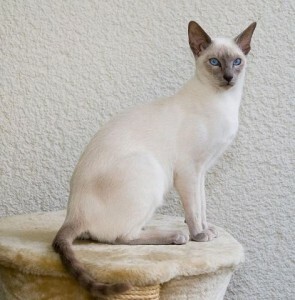 Besides being similar to the Siamese and Color point Shorthair, it resembles the Balinese the most. In fact, the two breeds are so alike that breeders often confuse them to be one. In fact, for avoiding this confusion perhaps the Javanese was recognized as a separate breed by the Cat Fanciers Association with the color points being a distinguishing factor between both the two. 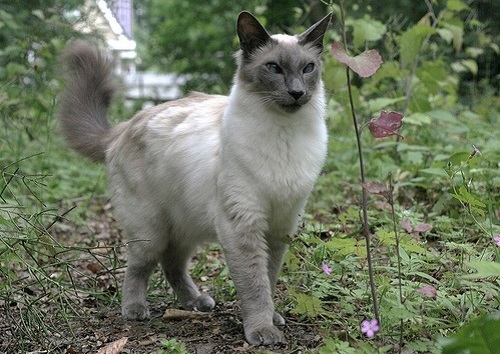 While the Balinese colorpoints come in four distinct varieties including chocolate, lilac, blue and light gray, the Javanese colorpoints comprises of the lynx variation. However, in the year 2008, the CFA went to combine both the breeds, mentioning the Javanese to be a division of the Balinese. Other associations such as TICA have regarded the Javanese as separate and have also included it along with the Balinese in its group of Siamese breeds. Their name “Javanese” has nothing to do with the place since they have never lived there, though Helen Smith, belonging to the Merry Mews Cattery, coined this term in the year 1950. Have a busy and active nature, enjoying the company of their family members, following them wherever they go. Can stay alone throughout the day, but desires the warmth and comfort of its people when they get back home. Acts as a perfect lap cat cuddling on to their master’s lap or even enjoying a close snuggle with him during bedtime. Those with tortie points are a bit crazy in nature, ones with red and cream color points are helpful and easy-to-manage while the Lynx varieties are on the noisier side. Owing to their athletic body, they love leaping up to increased heights, keeping a keen and curious watch on their surroundings from the top. They are also adept at going beneath low couches or beds. Enjoys investigating the minutest detail of their household like any weird noise, opening of the cupboard, the sound of a vacuum cleaner or blow dryer and so on. Being good at imitation, they would carefully observe your activities, trying to execute a few of them like opening drawers and closets, emptying out your shirt pockets and so on. Having an affinity to play, they may be interested in anything simple like a small ball, empty boxes, envelopes, or grains of rice. Loves communicating with its distinct voice chatting away to glory, with their vocalization differing from cat to cat. Gets along well with children, particularly the older ones, who may handle them decently, loving to indulge in a game of fetch ball with them. Thrives well with cats and other dogs especially if they are brought up with them since childhood, however, might try to take the upper hand in the presence of other felines. Possesses an intense love for food, going to the extent of picking up food from their people’s plate at the dinner table. Individuals who do not mind a cat shadowing them always from one room to the other. Those seeking for a cuddly lap cat. Households having other pets to give this breed company. Owners cherishing for a cat who would keep them amused with their endless chattering all day. Families having ample time to spend with these cats so that they may not resort to destructive measures. 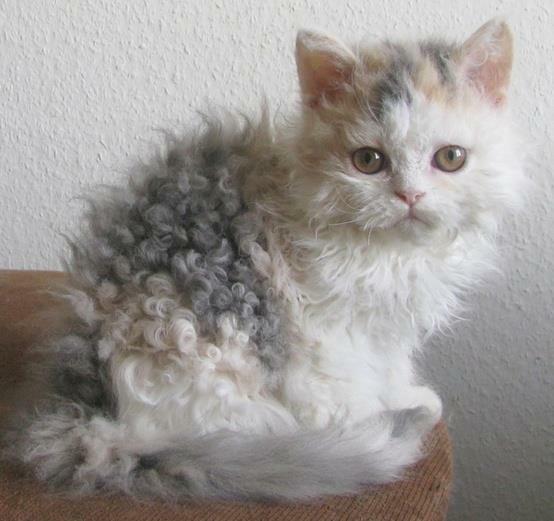 Since the Javanese has a silky, single coat, a weekly or bi-weekly brushing using a comb made of stainless steel would be sufficient enough for removing dead hair. Bathe your Javanese on a regular basis as well as keep its ears and eyes clean to ensure proper hygiene. 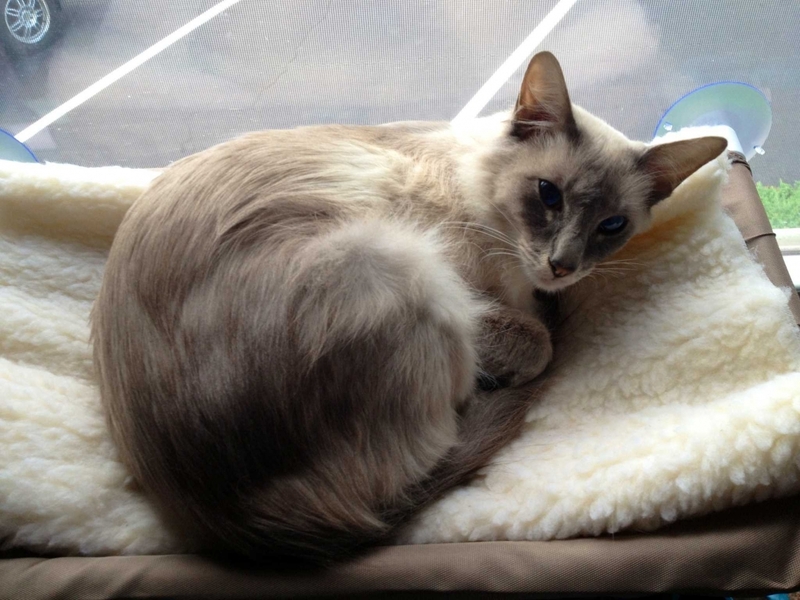 Some of the common genetic health issues this breed may encounter similar to the Siamese and Balinese include joint problems, arthritis, deafness, cross eye, and hip ailments. These intelligent cats would be easy and convenient enough to train. Owners should try keeping its passion for eating at bay by feeding it sufficiently and keeping it pre-occupied with creative or interesting toys for the purpose of diverting its attention. If you find his habit of chattering all the time a little annoying then try engaging him in different activities like a game of fetch ball and so on to help him reduce his boredom. Give your Javanese cat good quality dry cat food. Since it has a strong inclination towards eating it is essential to keep a watch on its diet as overeating may result in various health problems. Published on December 9th 2016 by Maxi Gold under USA Cats. Article was last reviewed on 26th May 2017.